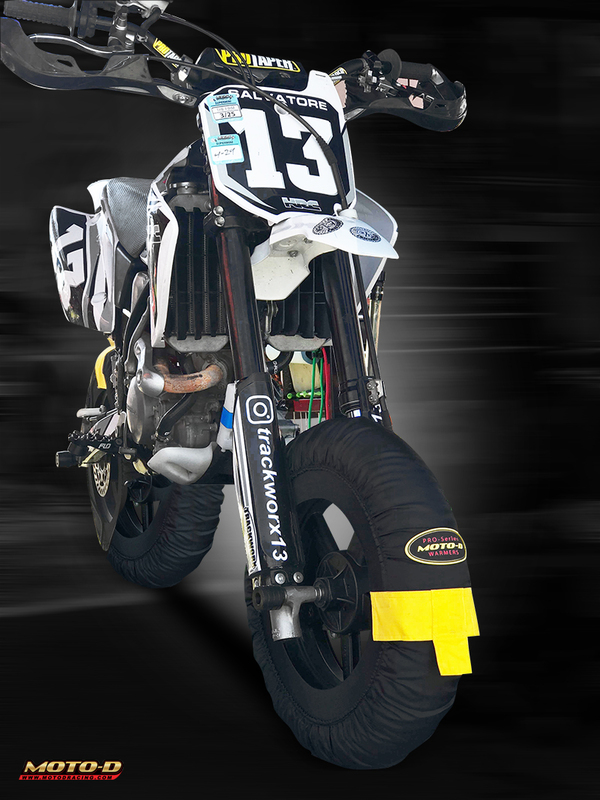 Even little bike riders know that race tires like PMT Racing Slicks and Dunlop TT93 Race Scooter Tires benefit from being properly heated for maximum grip for quicker lap times. 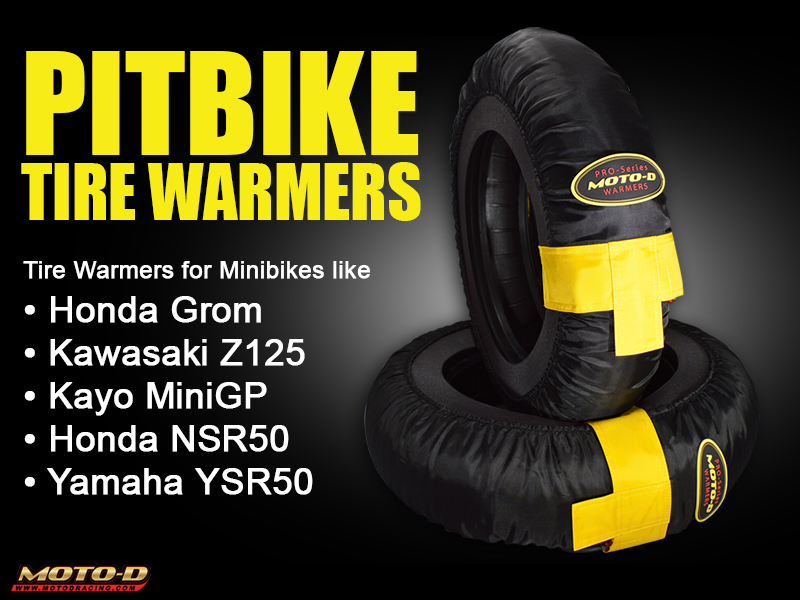 Smaller bikes often lack the same power as their larger siblings and and this is why tire warmers can really help with reduced wear and the best performance right from the start. 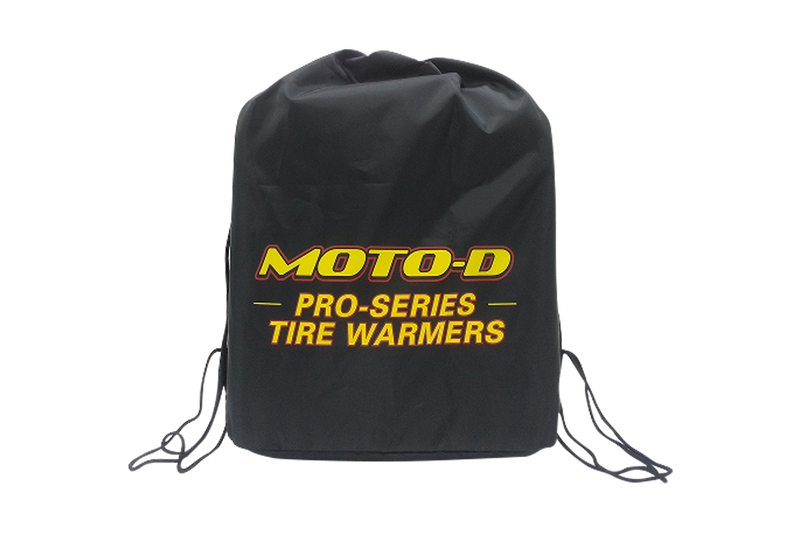 Handcrafted by MOTO-D Racing, the MiniGP Tire Warmers feature Carbon Wire Technology, which heat faster than brittle copper wire warmers found in lesser units. Unlike copper wiring, which becomes soft and brittle when hot, MOTO-D’s carbon wiring can be twisted and crushed without failure. MOTO-D uses 750 - 800 watts per pair and includes a spandex side skirt which blocks wind keeping all scooter, pitbike, and minibike tires hot. A convenient carry bag included with every order for ease or transport. It also has enough room to add some other items you want to bring to track day!